To learn more about our fast-acting and strong pharmacy products, contact us directly below! When animals recover from wounds, infections or advanced procedures, antibiotic are crucial to their speedy recovery. We can protect from a wide range of aerobic and anaerobic bacterial infections that affect the skin and soft tissues of your pets among other health debilitating ailments. We carry antibiotics that vary in strength and usage types, versatility, and proven to help your beloved pets heal quickly and effectively from infections that also aid in preventing future infections. A lot of times, our pets can endure quite a bit of pain before we realize they are trouble. A whimper is an obvious indicator, however, some pets can also become quieter, withdrawn, and show reduced activity. In these cases, we recommend that you bring your pet in and let our specialists determine if the cause is pain related. We have pain management techniques that are designed specifically for dogs or other pets that will leave them with the returned energy and happiness they once had. Heartworm is a deadly disease that can be very troublesome for your pet. Mosquitos are lurking around Florida in every month of the year, which carry all kinds of diseases your pet can contract with a single bite. We carry the proper and proven effective treatments for heartworm that remove it at its source. The best medicine is a proactive one with anti-heartworm pharmaceuticals. We have many effective kinds of parasite control drugs in our extensive Pet Pharmacy. 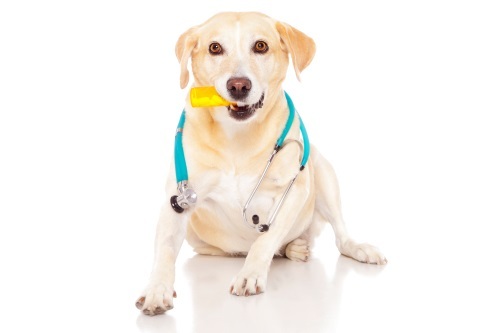 If your pet is diagnosed with heart disease, we have the right tools for treatment as well as symptom relief. Shortness of breath, coughing, tissue swelling, and restlessness are all common symptoms of heart disease. Our medication is easy to administer and varying in strength depending on severity. Early diagnosis is key to determining the right steps. Be sure to check out our Diagnosis page. Some pets need very specific diets due to restrictions of all kinds. It can sometimes be difficult to find the right source for knowledge and guidance on unique diets that are ideal for your pet. Well, you have come to the right place! We have all kinds of prescription diets, and specialized diets that are perfect for your special pet. Whether your pet needs a little weight management, digestion assistance, food for skin sensitivity, urinary help, kidney care, we have it all! Sometimes our pets aren’t getting the right vitamins from their diet. To supplements this, we carry a plethora of dietary supplements and vitamins to maintain your pet’s total health from antioxidants, multivitamins, potassium, calcium, and much more! If you have any questions or concerns which supplements might be right for your pet, please contact us with information related to your pet’s diet and we will respond shortly!